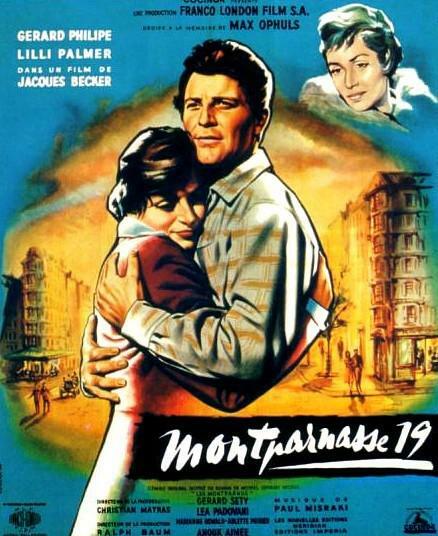 The Lovers of Montparnasse (French: Les Amants de Montparnasse), also known as Montparnasse 19, is a 1958 French-Italian drama film chronicling the last year of the life of the Italian painter Amedeo Modigliani who worked and died in abject poverty in the Montparnasse Quarter of Paris, France. It was originally directed by Max Ophuls, but he died of rheumatic heart disease while shooting interiors on the film, so his name was credited as dedicatee. His friend Jacques Becker took over after Ophüls's death and completed filming. There are at least two versions of the film; the longer version is about 2 hours long and has more scenes featuring the character of Léopold Zborowski.